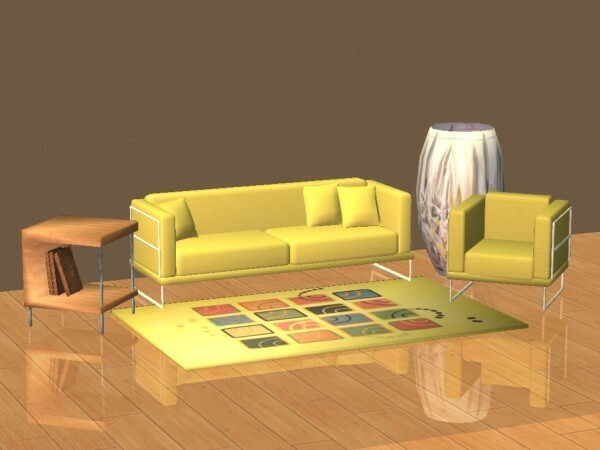 Includes 3 Seater, 1 Seater, End Table, Vase, 2×3 Rug. All Base-Game Compatible. 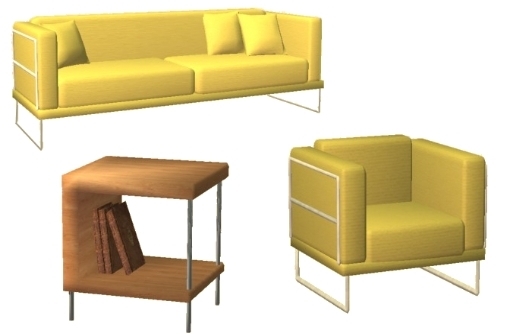 Vase, Rug and 3 Seater are low poly, End Table and 1 Seater Medium Poly.